In 2015 the e-learning market reached $46.9 million. When you are thinking about ways to generate an income online, you have to consider the size of your market you are entering to see if it is profitable. Obviously, entering the laser disc market now is probably not going to be very profitable! Teaching courses online is a HUGE market for a special needs parent to capitalize on. 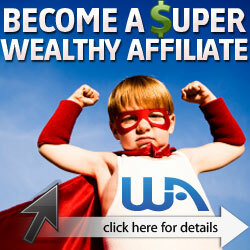 And not to mention a SMART way to leverage your time and earn a passive income. Everyday, people are online looking for courses to take, and they’d love to learn from you! But wait? I’m not a teacher! What would I teach? I did a quick search online and found the ideas are limitless! The only limits are the ones you create for yourself. Scrapbooking – Jessica teaches others how to do digital scrapbooking! Cartoon Artist – So cool! Rachel teaches digital cartooning! Pets – do you know a lot about pets? Health – are you a nurse or medical professional? While you probably can’t give medical advice online you can teach about areas you are knowledgeable in. Special Needs – Yes! Put your experience to good use! Have you picked up some really cool tips, ways to cope, ability hacks etc? Package it together and teach a class! I’m not a techie, how do I set it all up and where do I teach? Teachable – If you set up your own blog and niche and want to develop a course around that topic then Teachable is the way to go. They even have a free e-book to help get you started on creating content for your course, grab it here. However, with teachable, you are marketing the course all on your own and hosted on your website. Udemy – Over 12 million people visit and take Udemy courses. You’ll be able to create and have them host your course, marketing through the power of Udemy’s web presence. They even boast that their average instructors earn $8,000. Jeff Cobb over at LearningRevolution.net has a complete list of 15 online platforms for teaching. He even has a book about starting an online teaching course. Are you looking for a more in-depth, step by step approach to getting setup teaching online? Check out Dr. Dani Babb’s book Make Money Teaching Online: 2nd Edition: How to Land Your First Academic Job, Build Credibility, and Earn a Six-Figure Salary: Revised and Updated. The types of courses you can create a limitless. If this appeals to you, sit down and brainstorm things that you know. Then do some simple keyword research on Google to see if people are looking for that information. Check out the sites listed above and see if there a similar courses. Then gain the knowledge on how to create a course and go! Does this get your wheels turning? If so, drop me a comment below on what you think you could teach online!